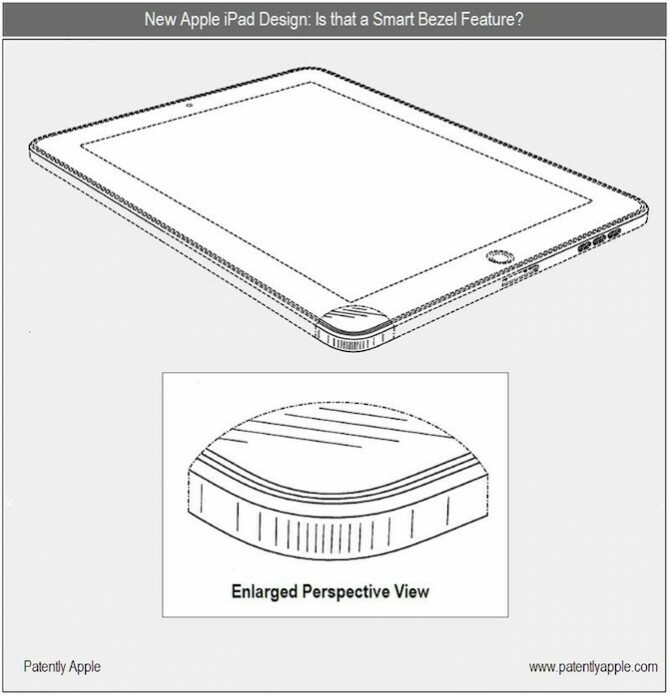 Patently Apple does what they do and this morning they uncovered some patents that provide a peak into the future of the iPad. Although a re-design is not pictured, some neat features that seem reasonable for inclusion in an iPad refresh were revealed. The first is a second 30-pin dock connector port on the left side of the iPad for landscape/horizontal docking. This patent will make docking the iPad extremely easy to dock and use with a bluetooth keyboard. 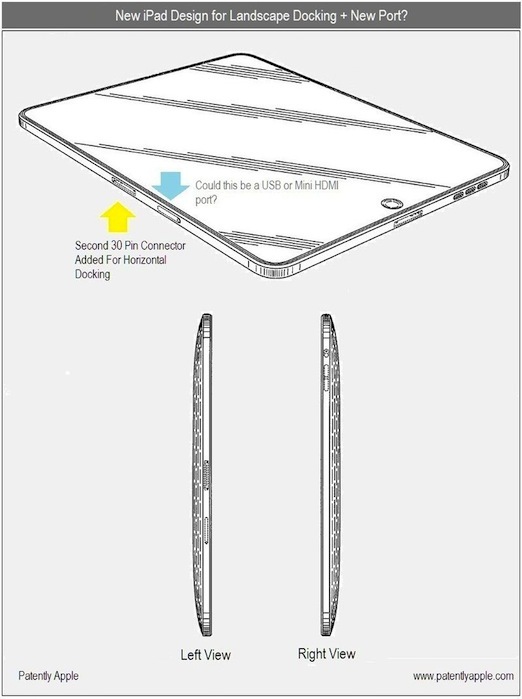 On the other hand, how will holding the iPad on the left side feel with a port cutout? Patently Apple marks a port next to the 30-pin connector as a possible mini-HDMI or USB port but in reality that’s actually the sim-card slot/tray from the current iPad 3G. Another patent is for something called a “Smart Bezel.” The patent does not describe this feature at all but by looking at the photographs it appears to be a touch-based quick access key. A part of the bezel will be touch sensitive and you can assign that spot a particular action. That’s just speculation but it may make sense. Update: Since you all thought we missed the “camera”….